The widow of Lt. Col. Mizrahi says the bill passed Monday is better than nothing, but terrorists should not live. 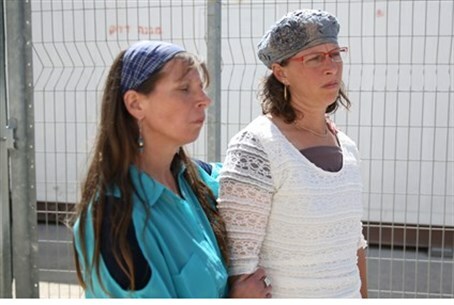 A day after the Knesset passed the “Terrorists Law” that allows judges to effectively sentence terrorists to life in jail without the option of parole, and without being released in any kind of “prisoner deal,” the widow of Lt. Col. Baruch Mizrahi told Arutz Sheva that the law is better than nothing, but she would rather see terrorists receive a death sentence. "I regret to say that the political maneuvers at this time make me feel unsafe,” said Hadas Mizrahi, whose husband was gunned down by a terrorist on Passover Eve. “The state thinks about the terrorists more than about the families they victimize, in a twisted way. I am sorry to say that the terrorists who murdered my husband were freed in the Shalit deal, even before this law was passed. Hadas expressed similar sentiments in September, at the trial of Baruch's killer.